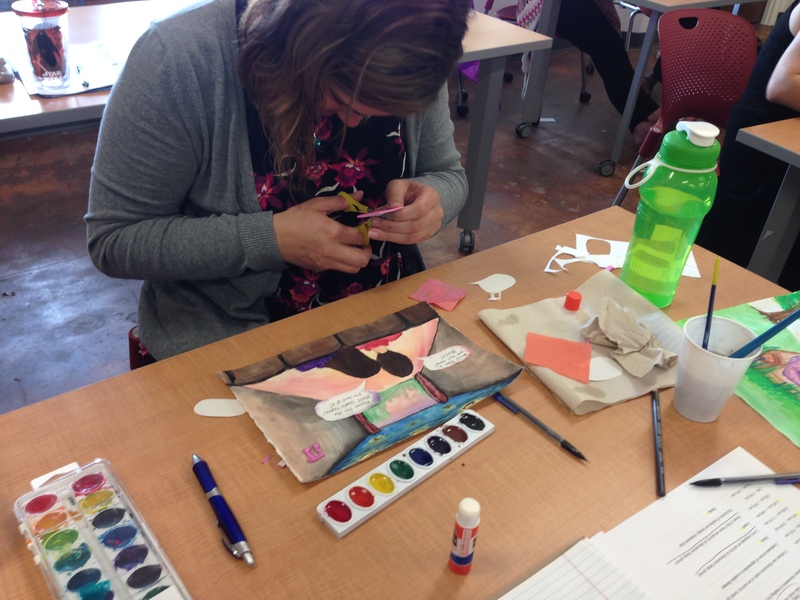 This past weekend, the Department of Art Education’s Art Therapy Program hosted its first summer weekend course. 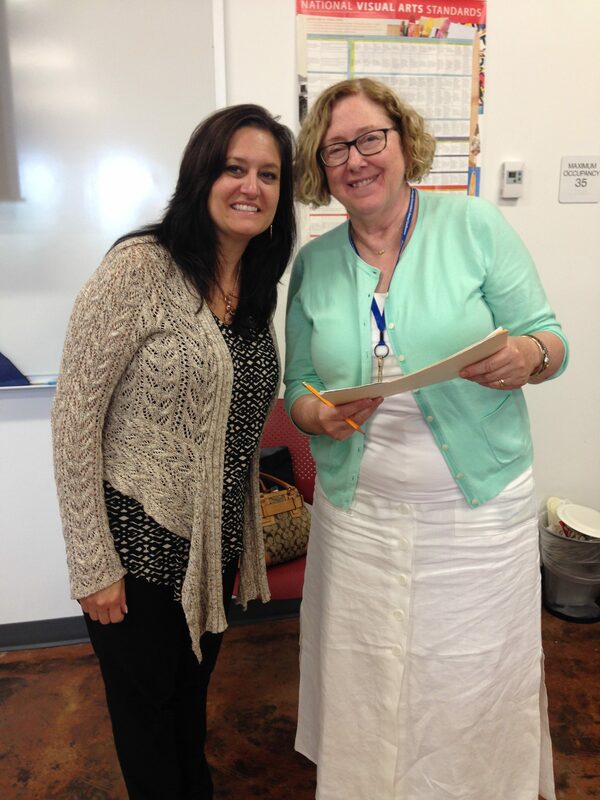 The first weekend course focused on marital and couples art therapy counseling. 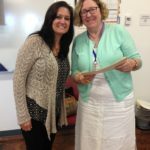 The course was taught by visiting professor Dr. Dina Ricco. Dr. Dina Ricco, an FSU alumna, received her masters and doctorate degrees from Florida State University. Since her graduation, Dr. Ricco has returned to Tallahassee several times as a visiting professor. She works as a clinical counselor and art therapist at University of North Florida, a student behavioral health clinic in Jacksonville, Florida, treating clients with a variety of mental health challenges. 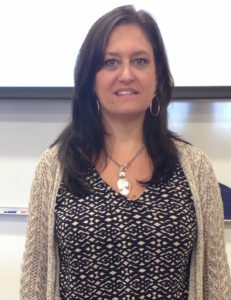 Her approach includes family systems, cognitive behavioral and art therapy techniques. She has 20 years of experience in a variety of clinical and instructional settings including various agencies, correctional facilities, school systems, community colleges and universities. Dr. Ricco conducted research on the use of the John Gottman model with couples and now specializes in marital and couple art therapy. Dr. Ricco attributes her interest in working with couples to her desire to aid children affected by the solidity of their parents’ marriage. Dr. Ricco presents statewide and nationally on the use of art therapy with various mental health issues. The course took place on Friday, June 17, 2016, and Saturday, June 18, 2016, from 8:30 AM to 5:00 PM. Approximately 28 people were in attendance for the two-day weekend course. Dr. Ricco presented an integration of art therapy, psychology and family systems as it relates to marriage and couples counseling. Students broke up into groups to examine and discuss case studies of couple art therapy. Throughout the weekend, students had the opportunity to explore through lecture, cooperative learning groups and art activities/directives that were completed and processed during class. 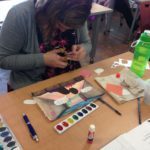 Dr. Ricco encouraged personal reflection in order to increase the students’ understanding of the use of art in marriage and couples counseling. Students were afforded the opportunity for individual exploration through a final project assignment. Dr. Ricco challenged students to recognize the importance of research on effective marital and couples counseling techniques and asked them to explore how art therapy can be used to address those research needs. By the conclusion of the weekend, students were able to learn about prominent theorists in marriage and couples art therapy, the five advantages of using art therapy with couples, key art directives to do with couples in varying stages of their therapeutic process, approaches to couple therapy, the six types of couple therapy, basic tenants of John Gottman’s theory, the Four Horseman of the Apocalypse, Gary Chapman’s five love languages, and the role of the art therapist. 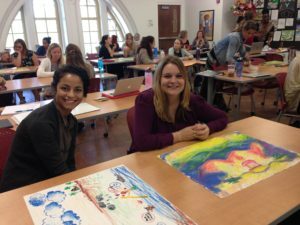 The department thanks Dr. Ricco for taking the time each year to teach FSU Masters Art Therapy students as a visiting professor for their summer weekend course.